Own The Equalizer 2 DVD from Deff, DVD, Blu-Ray & 4K Video Specialists - Free UK Delivery..
McCall (Denzel Washington) has put his mysterious past behind him and is dedicated to living a new, quiet life. But when he meets Teri (Chloe Grace Moretz), a young girl under the control of ultra-violent Russian gangsters, he can't stand idly by. Armed with hidden skills that allow him to serve vengeance against anyone who would brutalize the helpless. McCall comes out of his self-imposed retirement and finds his desire for justice rea..
McCall (Denzel Washington) has put his mysterous past behind him and is dedicated to living a new, quiet life. But when he meets Teri (Chloe Grace Moretz), a young girl under the control of ultra-violent Russian gangsters, he can't stand idly by. Armed with hidden skills that allow him to serve vengeance against anyone who would brutalize the helpless, McCall comes out of his self-imposed retirement and finds his desire for justice reaw..
Own The Equaliser - The Movie - Blood And Wine DVD from Deff, DVD, Blu-Ray & 4K Video Specialists - Free UK Delivery..
Own The Equaliser 1 to 2 DVD from Deff, DVD, Blu-Ray & 4K Video Specialists - Free UK Delivery..
Own The Equalizer 1 to 2 Blu-Ray from Deff, DVD, Blu-Ray & 4K Video Specialists - Free UK Delivery..
Own The Equalizer 2 4K Ultra HD + Blu-Ray from Deff, DVD, Blu-Ray & 4K Video Specialists - Free UK Delivery..
Own The Equalizer 2 Blu-Ray from Deff, DVD, Blu-Ray & 4K Video Specialists - Free UK Delivery..
McCall (Denzel Washington) has put his mysterious past behind him and is dedicated to living a new, quiet life. But when he meets Teri (Chloë Grace Moretz), a young girl under the control of ultra-violent Russian gangsters, he can’t stand idly by. 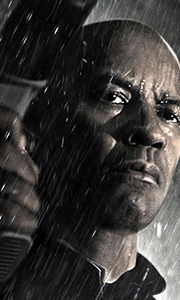 Armed with hidden skills that allow him to serve vengeance against anyone who would brutalize the helpless, McCall comes out of his self-imposed retirement and finds his desire for justice rea..
Own The Equalizer Season 1 DVD from Deff, DVD, Blu-Ray & 4K Video Specialists - Free UK Delivery..
Own The Equalizer Season 2 DVD from Deff, DVD, Blu-Ray & 4K Video Specialists - Free UK Delivery..
Own The Equalizer Season 3 DVD from Deff, DVD, Blu-Ray & 4K Video Specialists - Free UK Delivery..
Own The Equalizer Season 4 DVD from Deff, DVD, Blu-Ray & 4K Video Specialists - Free UK Delivery..
Own The Equalizer Seasons 1 to 4 Complete Collection DVD from Deff, DVD, Blu-Ray & 4K Video Specialists - Free UK Delivery..